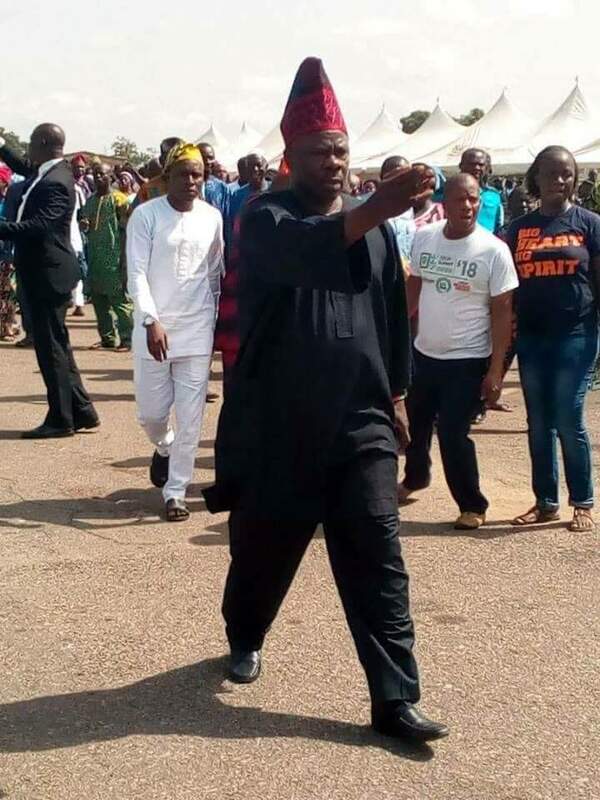 Information had it that Ogun State governor, Senator Ibikunle Amosun had ordered the arrest the popular Owu born politician, Alhaji Bakai Okedara and his supporters on Tuesday after the disgraced APC Presidential campaign rally held in Abeokuta. Bakai who subsequently defeated Amosun in Owu wards in 2011 when he was in People’s Democratic party (PDP) was persuaded by the governor to join All Progressives Congress (APC) which he did. It was reported that the governor was angry that Bakai left him to support Ogun APC candidates, Dapo Abiodun and Taiwo Oludotun, Abeouta North House of Assembly candidate who is also Owu. SARS men from Magbon, Abeokuta arrived at Bakai Okedara House around 1P.M on Tuesday with two Hi-lux vans they laid siege nooks and crannies of his compound at Olomore area of Abeokuta. They later arrested some supporters of Bakai Okedara at Oke Ago Owu area. Those arrested were later released on the order of the Vice President, Professor Yemi Osibajo. Also, The governor yesterday at MKO Abiola stadium ordered thugs to beat Ogun APC leaders who included Yewa leader, Chief Mufutau Ajibola, Professor Odemuyiwa, Hon. Fagbayi and others. Dapo Abiodun’s aide, Hon. Babatunde Olaotan escaped the lynching from the political thugs. The leaders were beaten mercilessly.